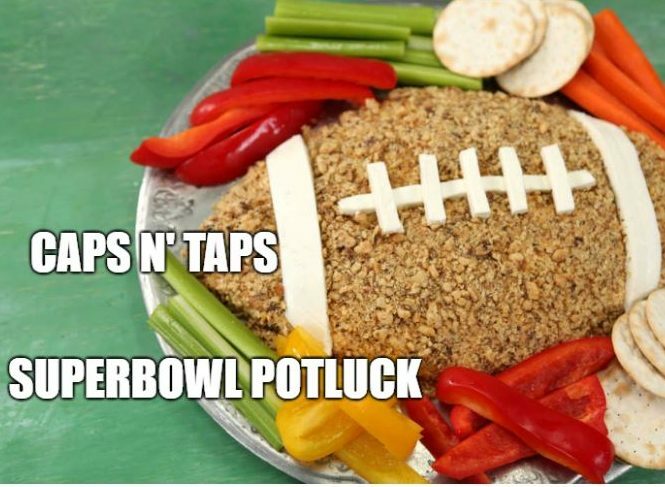 Come join us on Superbowl Sunday to watch the ______s take on the ______s! Free hot dogs compliments of Caps N’ Taps. If you plan to bring a snack to share, post below so we don’t end up with 10 football-shaped cheese balls!